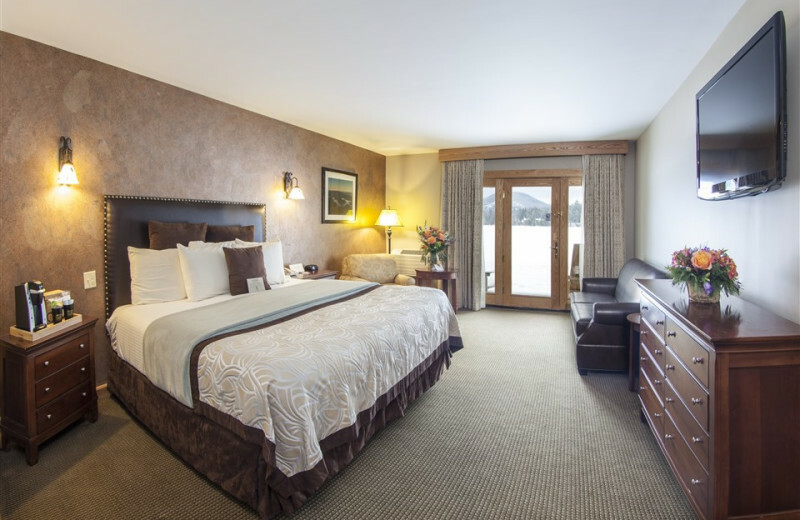 The Golden Arrow Lakeside Resort graces the heart of the Olympic Village in Lake Placid. This idyllic paradise is the only resort on New York's crystal clear Mirror Lake, offering a private, white sand beach and complimentary kayaks, rowboats and canoes. In the winter, take a thrilling dogsled ride, skate on the private ice rink, or ski at the world-class Whiteface Mountain. 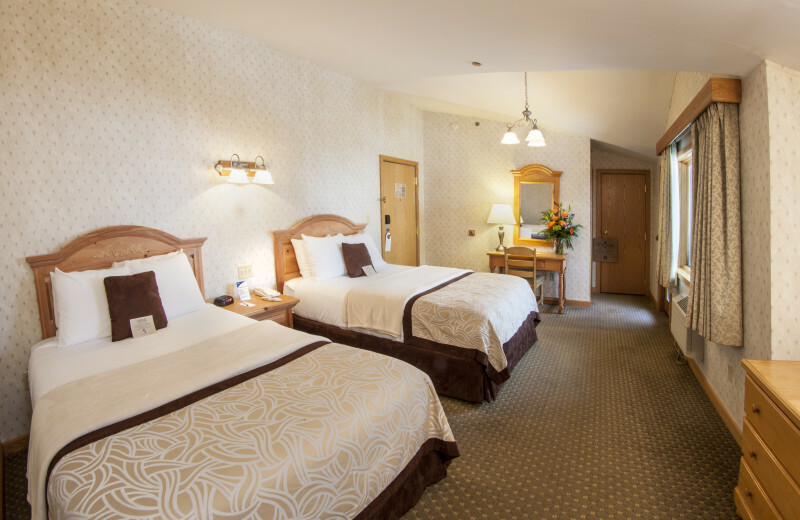 Beautiful, uniquely designed, smoke-free guest rooms with private balconies bring the clean mountain air inside. 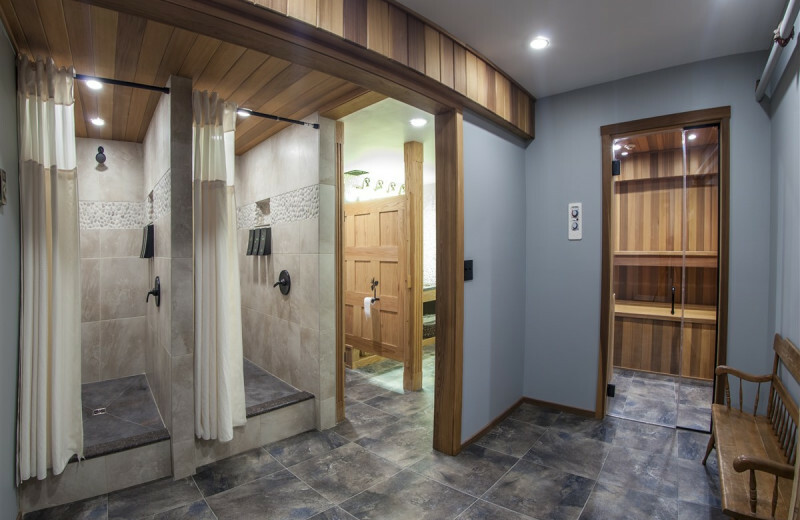 Also inside: the Golden Arrow features a new heated pool, steam bath, whirlpools, and the complimentary health club -- the perfect place to enjoy the Adirondacks during any season! 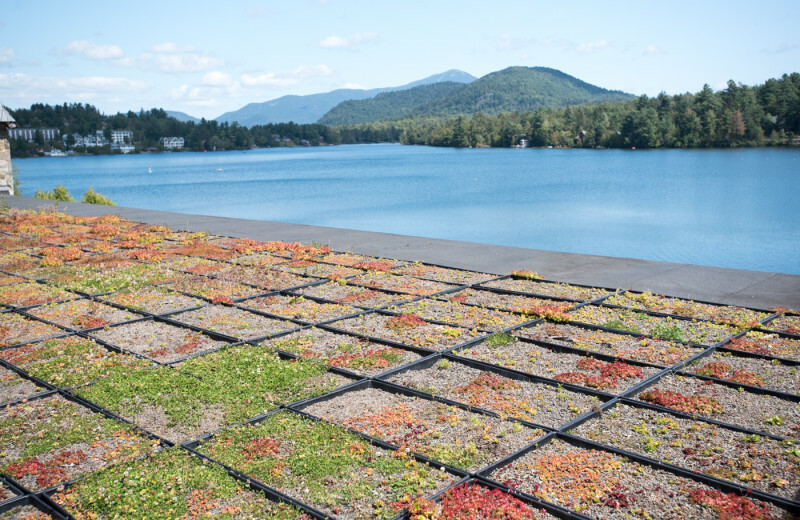 And, as a recipient of the Audubon Society's Highest Platinum Eco Rating, they are proud to be Lake Placid's "Green" Resort! 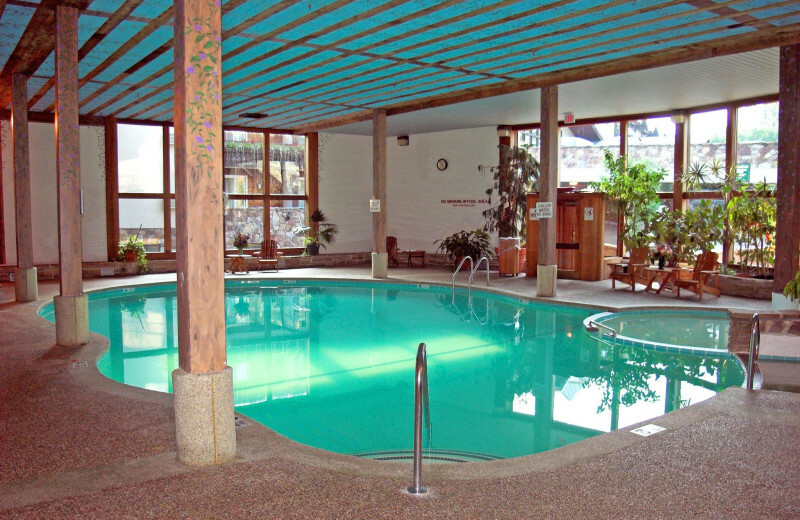 Golden Arrow Lakeside Resort is the only resort located on Mirror Lake. With lakeside access, it would be a crime not to get out and enjoy New York's Mirror Lake! Enjoy the private, white sand beach. Take out a kayak, rowboat or canoe and go exploring, or, if you'd rather, just sit back with a good book. 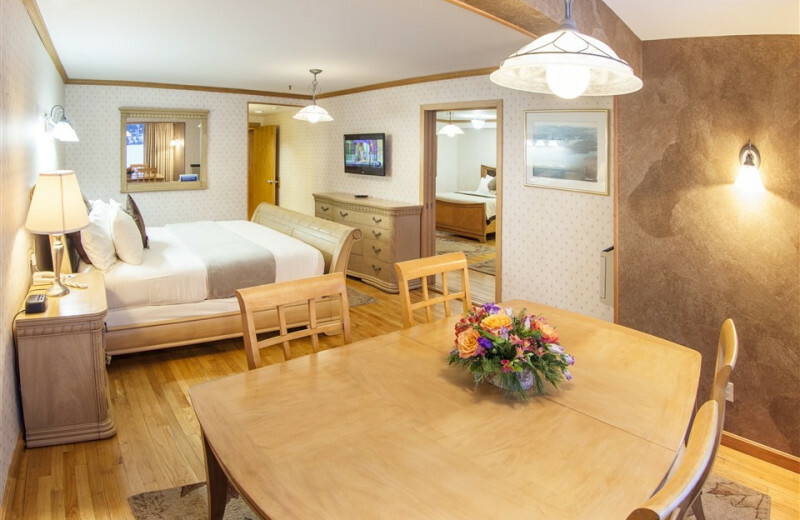 The Golden Arrow Lakeside Resort is the perfect destination for your next family vacation. 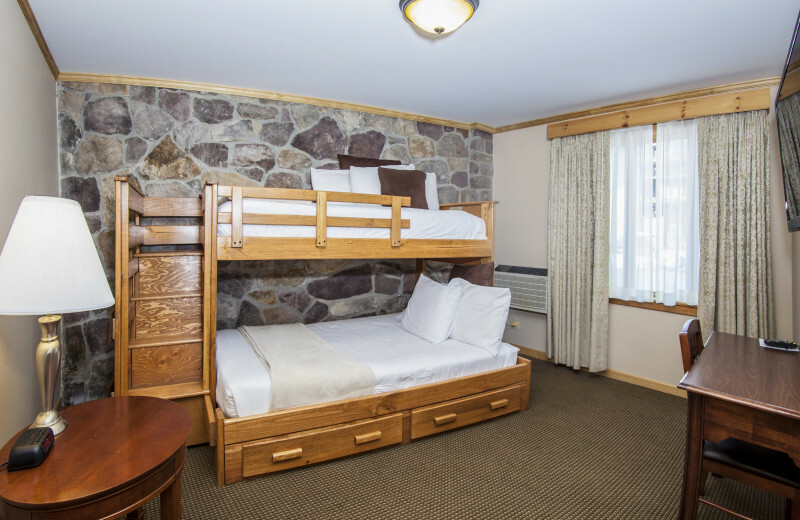 With excellent lodging options and ski-in/ski-out access, all you have to worry is to have fun with your kids. Hot summer days are perfect for soaking up the sun and watching the kids make a splash and build sand castles on the resort's private beach. 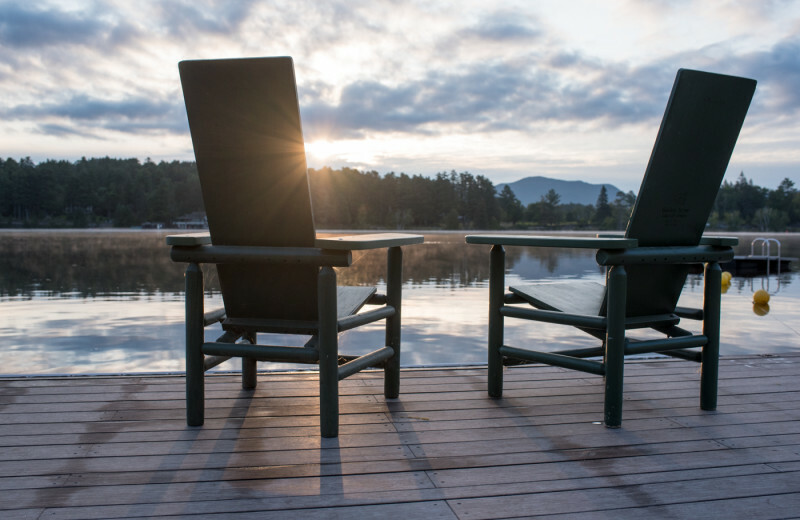 Go hiking, fishing or bird watching, the Adirondacks await! Whether you are planning a large corporate meeting or a small intimate gathering of friends, the Golden Arrow Lakeside Resort is the perfect setting for your event with a number of different spaces to accommodate all groups. Their Four Seasons Conference Center offers 3,000 square feet of flexible space that's perfect for meetings, receptions, and dinners. 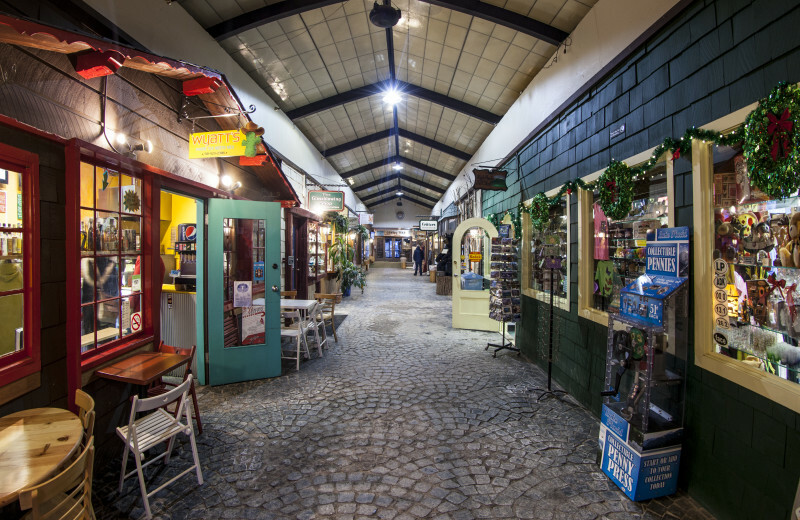 Let their professional staff assist in making your Lake Placid business event a success! 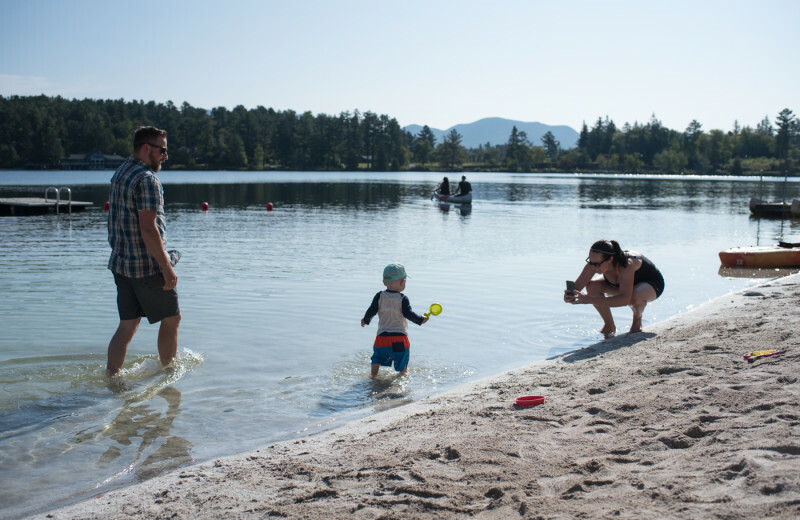 Families will love the fresh mountain air and abundance of outdoor activities at Golden Arrow Lakeside Resort. This ideal New York destination is sure to meet every one of your family reunion needs. 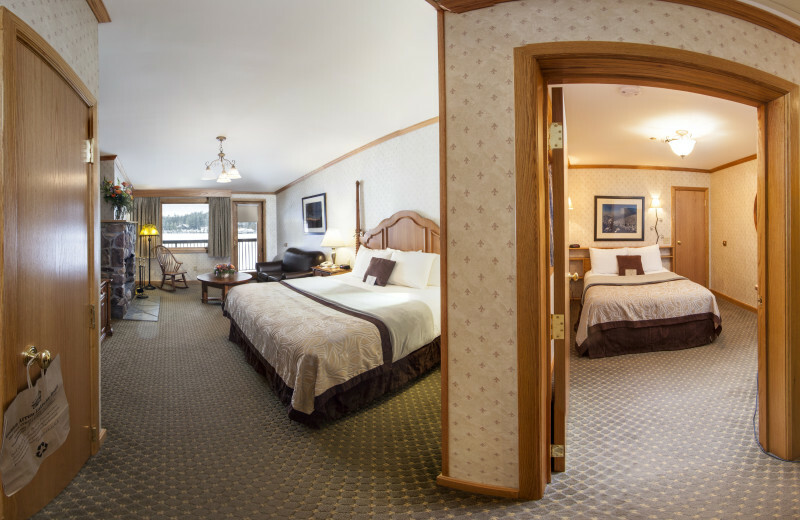 From fun activities such as gondola cruises on Mirror Lake to dogsledding to cozy accommodations and delicious meals, you'll be sure to have an unforgettable time. 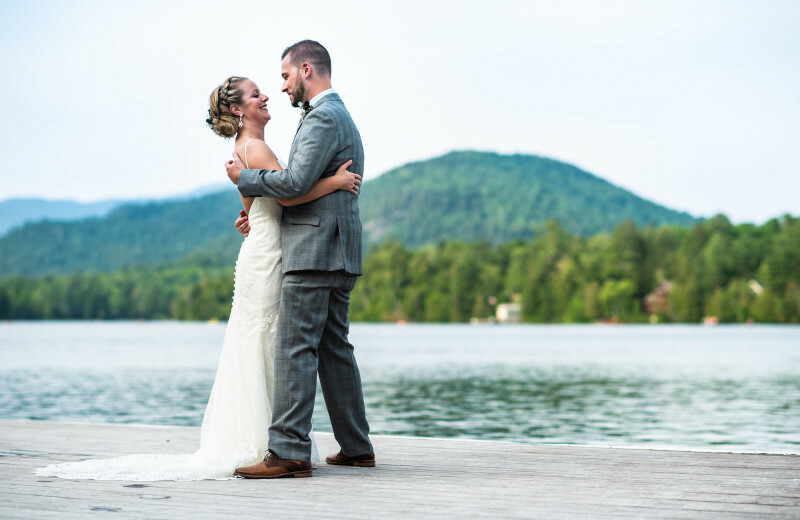 The Adirondack Mountains presents the most breathtaking setting for your New York wedding. 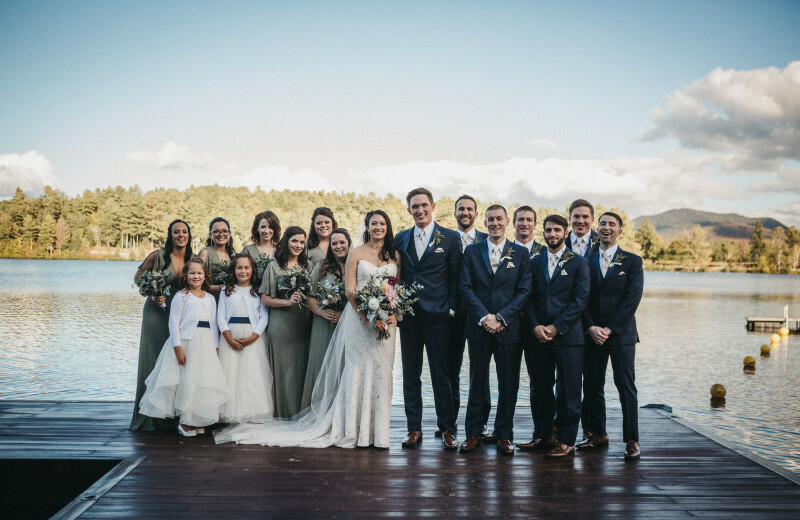 Golden Arrow Lakeside Resort offers a variety of different spaces to accommodate ceremonies of all sizes. Their attentive and friendly staff will handle all the details so you can rest assured your dream wedding will become a reality. 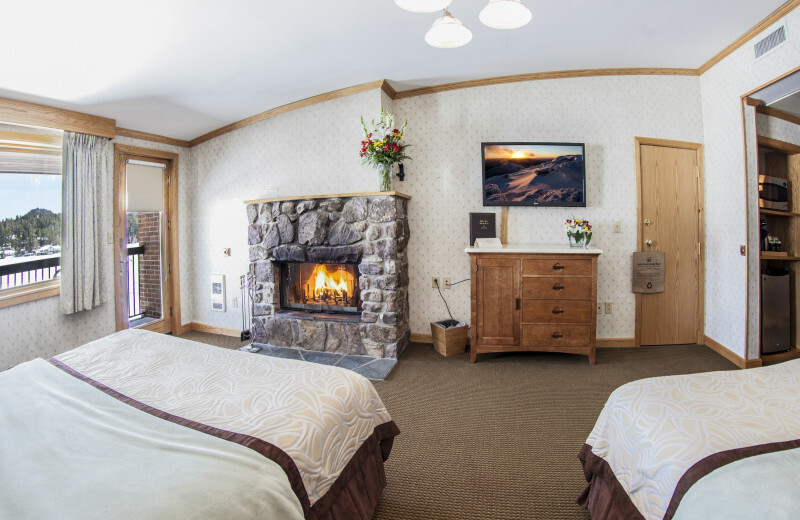 Located directly on Mirror Lake, surrounded by the famed Adirondack Mountains, Golden Arrow Lakeside Resort is surrounded by beautiful nature. Go for a hike or bike ride. 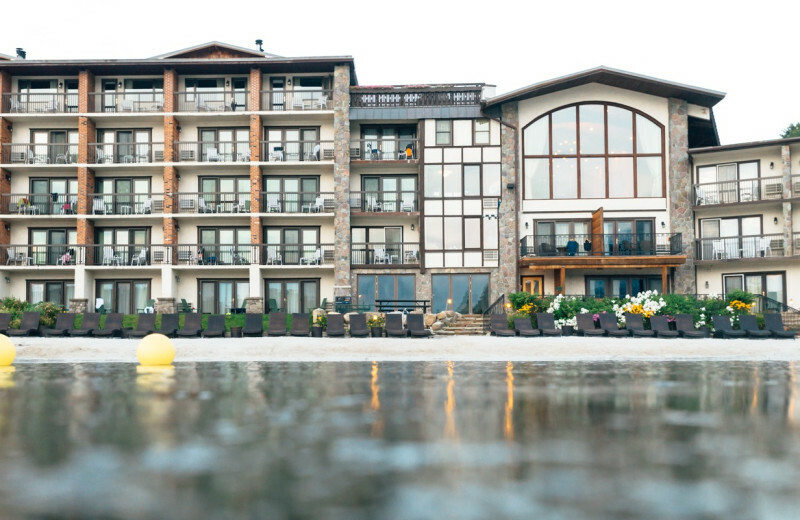 Take out a complimentary canoe and observe lake life. There's beautiful nature everywhere you turn at this New York resort. 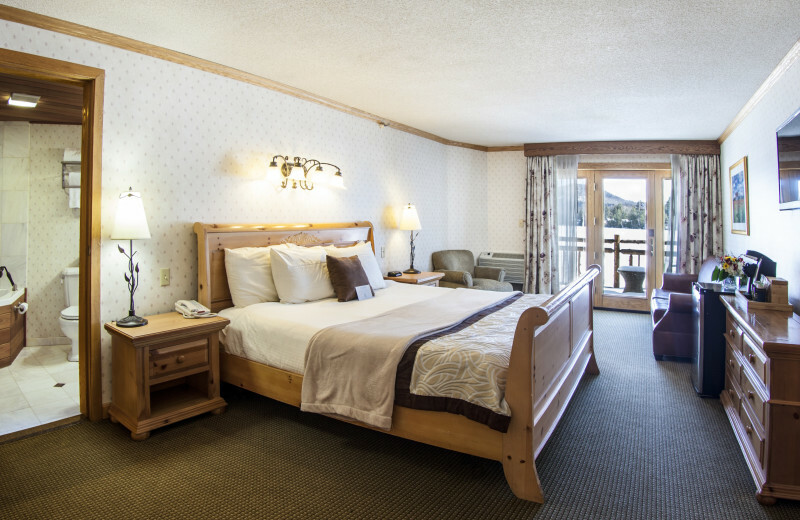 The only resort directly on Mirror Lake, Golden Arrow Lakeside Resort has ample fishing opportunities. Rent one of the complimentary canoes or kayaks and cast your reel. Lake Placid is also nearby, which will provide even more fishing fun! Don't forget to pack the bait when you come on your New York vacation. 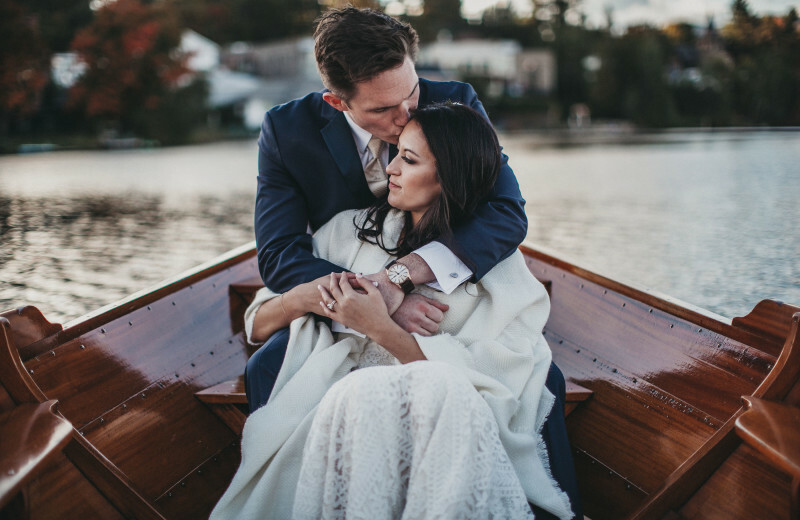 With romantic recreation – like private gondola rides – that highlight your beautiful surroundings, Golden Arrow Lakeside Resort is a perfect place to steal away for an Adirondacks romantic vacation. 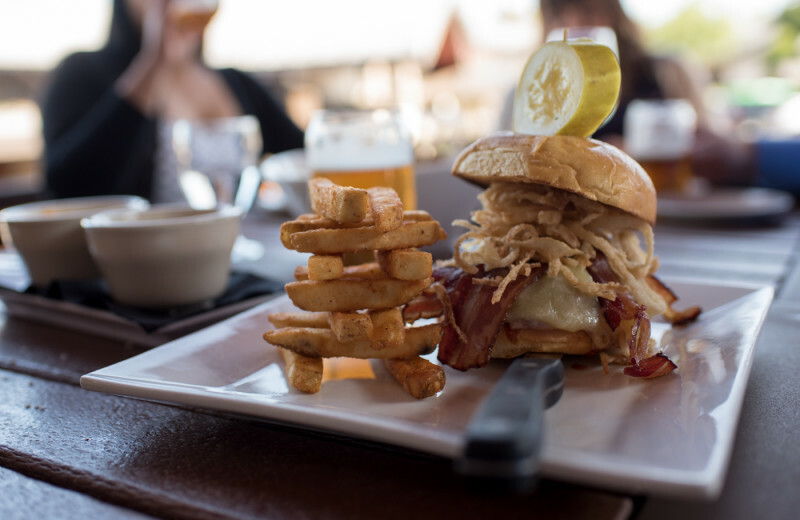 Enjoy dinner in Charlie's restaurant or explore the natural splendor around you by foot, dogsled or canoe! 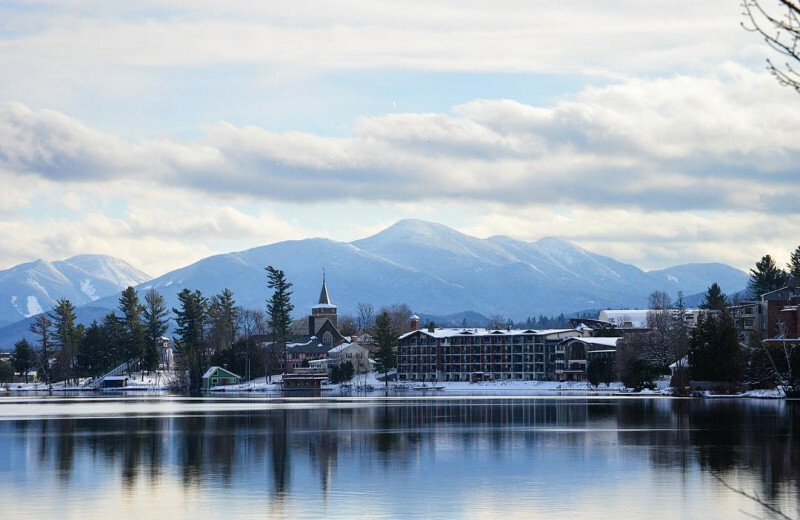 The picturesque scenery of Mirror Lake and the Adirondacks will make it easy to fall in love all over again! 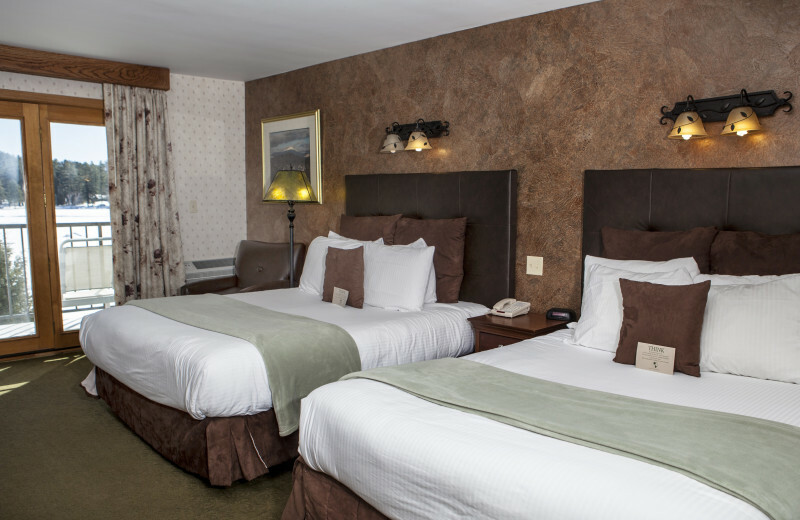 The Adirondack Mountains set the scene for your ski/snowboard New York vacation at Golden Arrow Lakeside Resort. The famous Whiteface Mountain is nearby, and is widely considered one of the top skiing areas in the Northeast United States! During the winter months, this is a snow bunny's paradise with downhill runs for all skill levels. 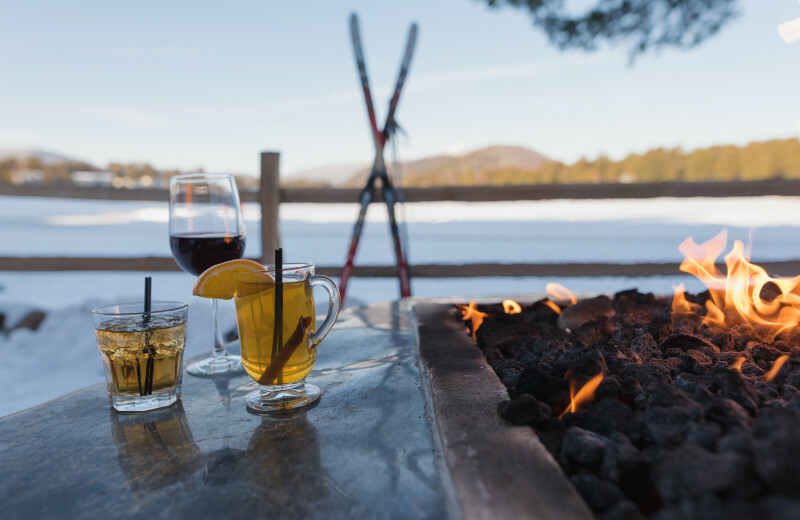 Start planning your Adirondack ski getaway today! 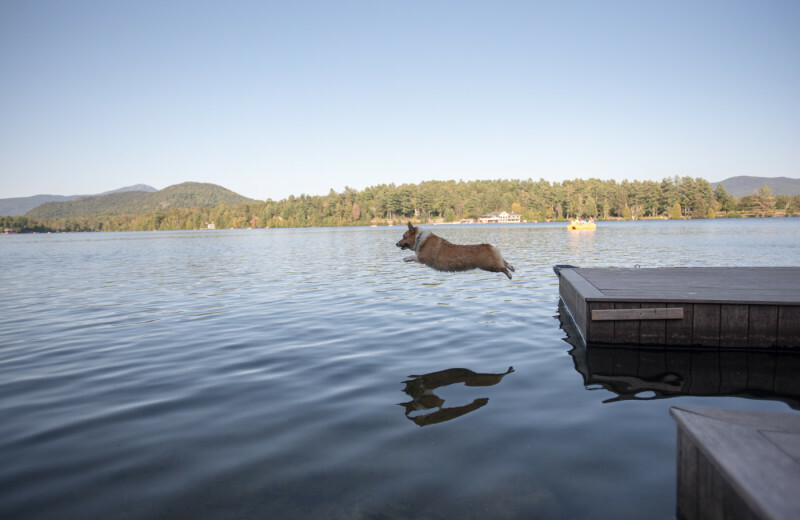 The Golden Arrow family understands the joy of sharing an Adirondack vacation with your furry companion. 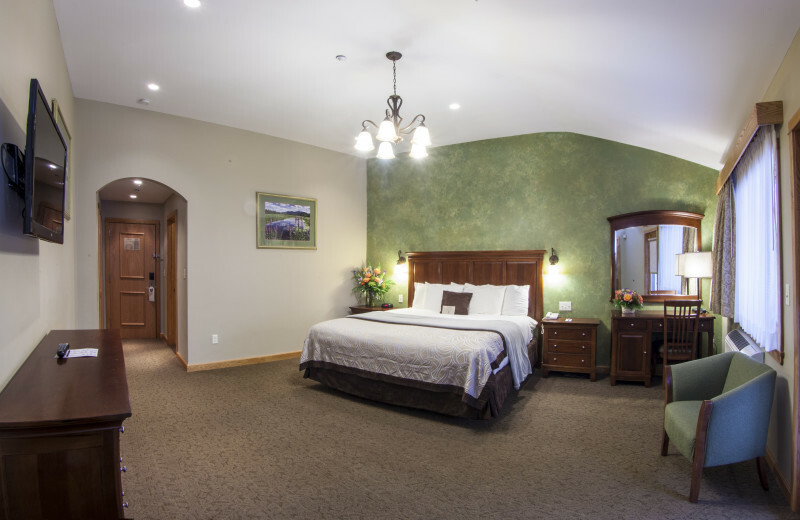 We therefore happily allow you to share with your pet the creature comforts of your guest room provided they abide by the conditions the property has provided. Please visit the resort website or call for more information. 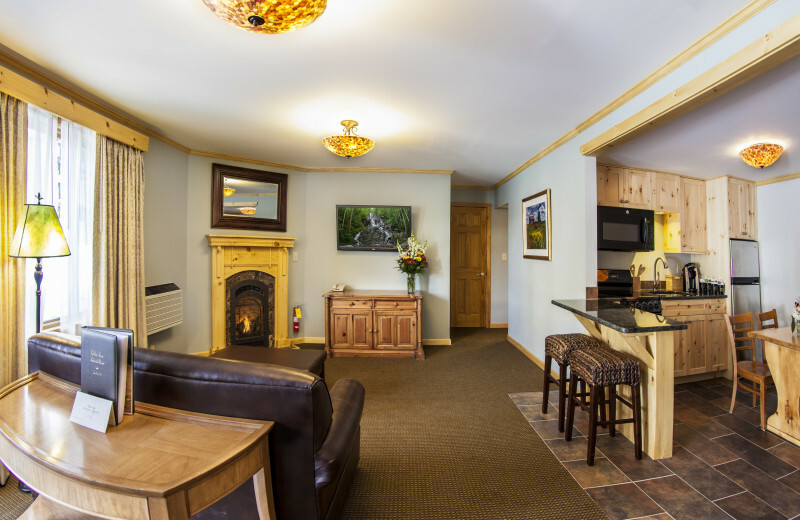 Golden Arrow Lakeside Resort is the first independent eco-friendly resort in the Lake Placid area. 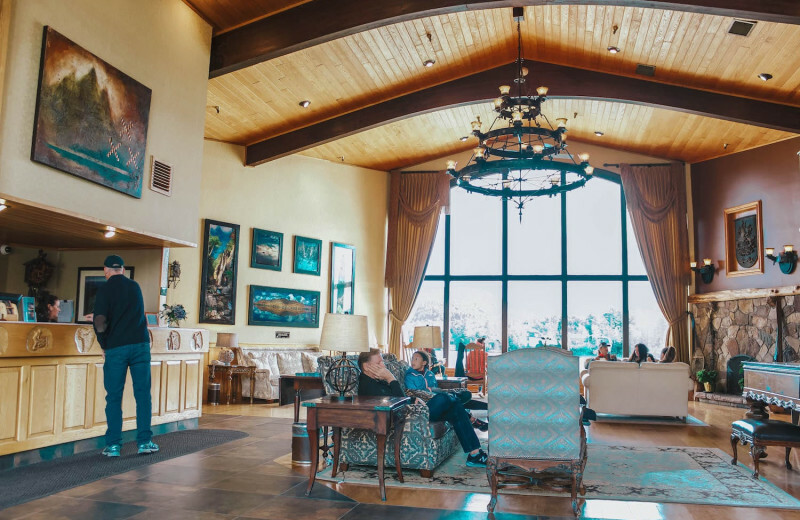 A member of Green Hotel, Eco-Rooms and Eco-Suites, The Golden Arrow Lakeside was the first resort in the United States to earn Audubon International's Highest Eco-Hotel rating of Platinum. Their green roof, solar panels, and in-room recycling program, plus much more all helped them receive this honor. See how beautiful it is being Green! 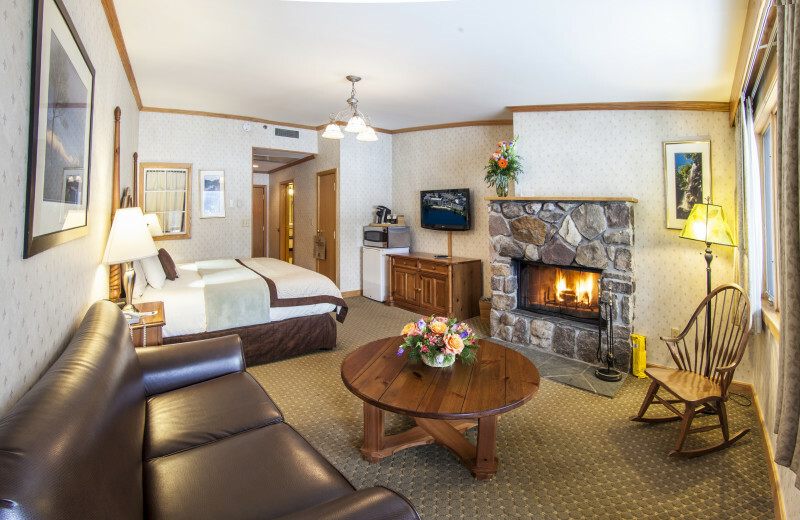 Set in the mountains and directly on Mirror Lake, Golden Arrow Lakeside Resort has all of the amenities you could possibly ask for! 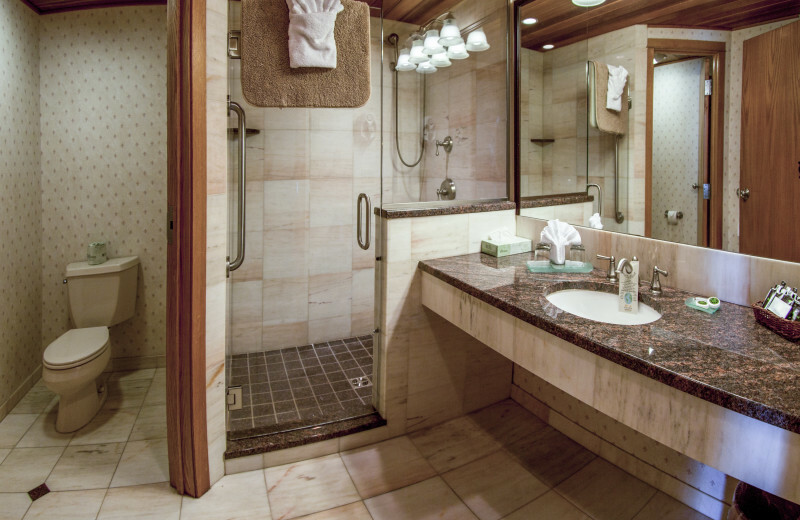 Stay here and you'll have access to kayaks and canoes, the resort even provides private gondola rides! 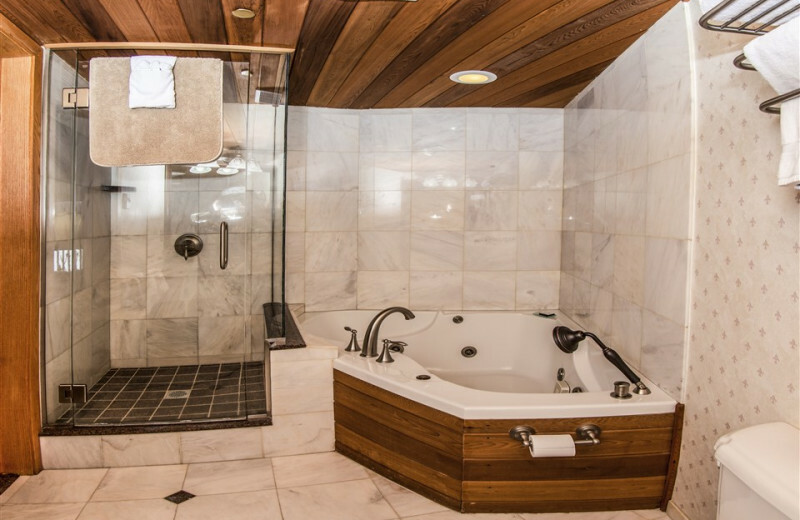 During the winter, enjoy ice skating and dogsledding and then warm up in the heated pool area! 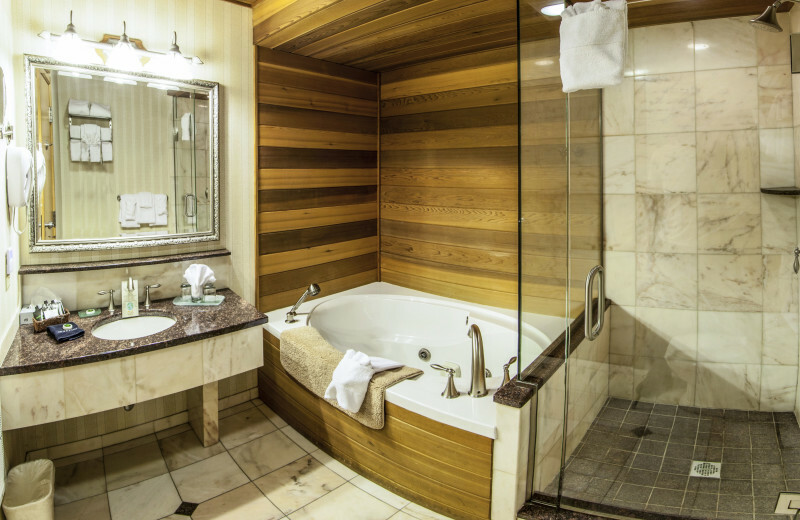 Experience true luxury in New York. 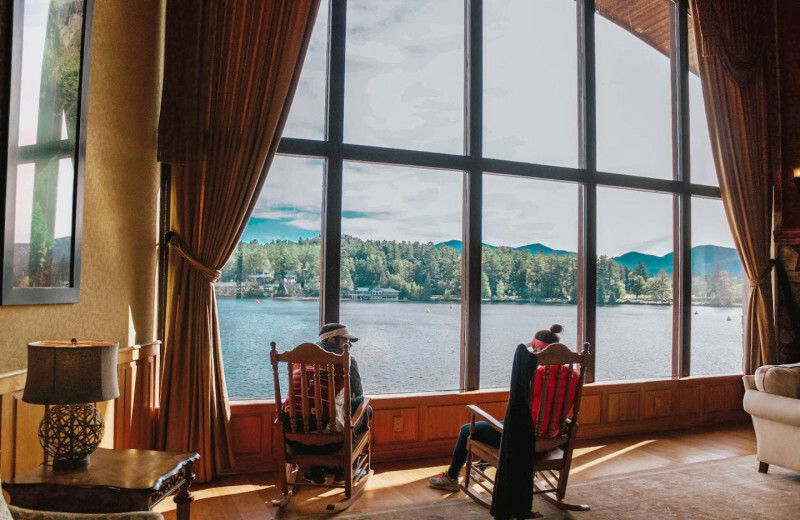 Located amid six million stunning acres of Adirondack Park, Golden Arrow Lakeside Resort overlooks a "forever wild" forest preserve. With 2,000 mountain peaks and 500,000 acres of true old growth forest, this is a place for world-class New York recreation. Experience the 46 High Peaks with a brisk, beautiful hike! 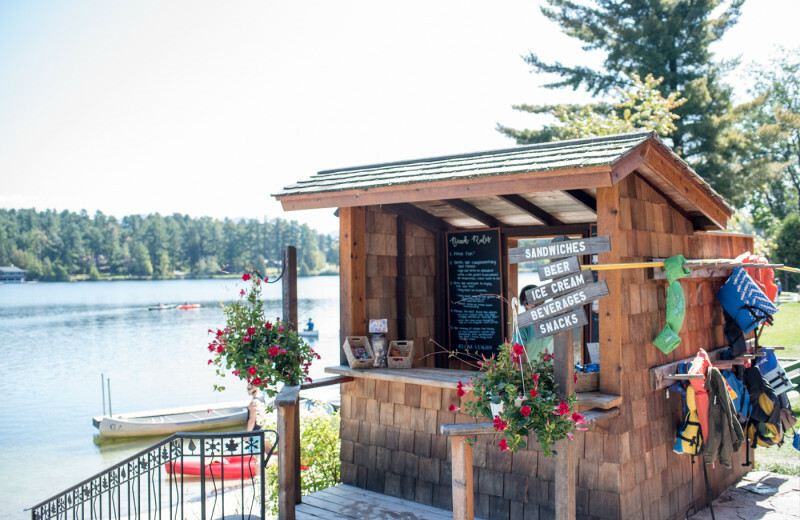 Golden Arrow Lakeside Resort is the only resort located directly on Mirror Lake, and it has everything you need to enjoy a fun-filled day regardless of the season. 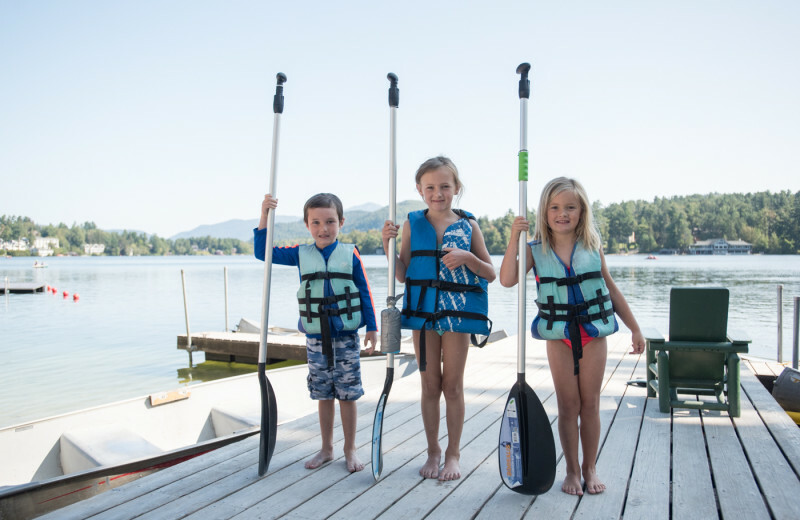 Take advantage of the complimentary kayaks, canoes, and SUP and enjoy a hot summer day. Plenty of skating and dogsledding make your winter unforgettable. 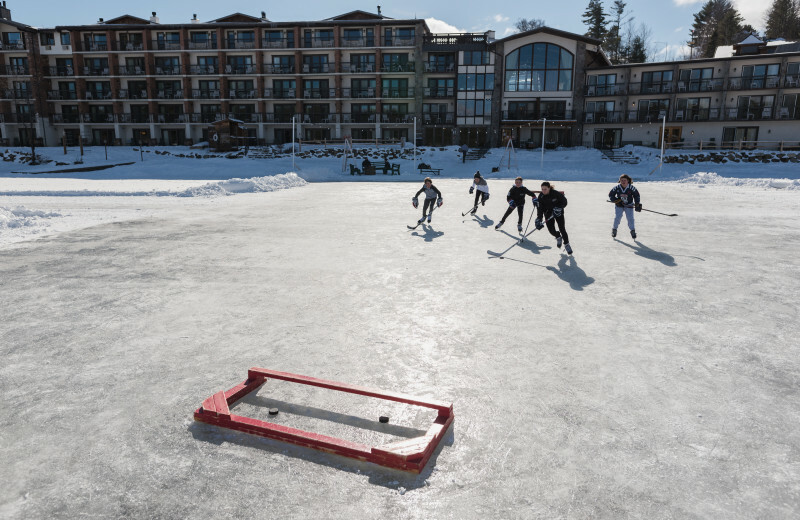 The new heated pool area is great for beauty and fun on Mirror Lake no matter the season! Take advantage and get out on the lake! 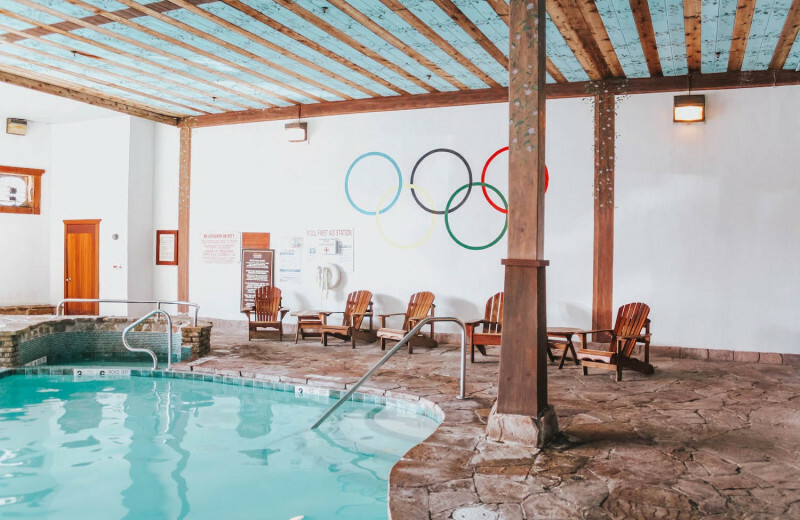 In the heart of Olympic Village in Lake Placid, The Golden Arrow Lakeside Resort is full of history. Take time out of your vacation and visit the sites that former Olympians competed in. 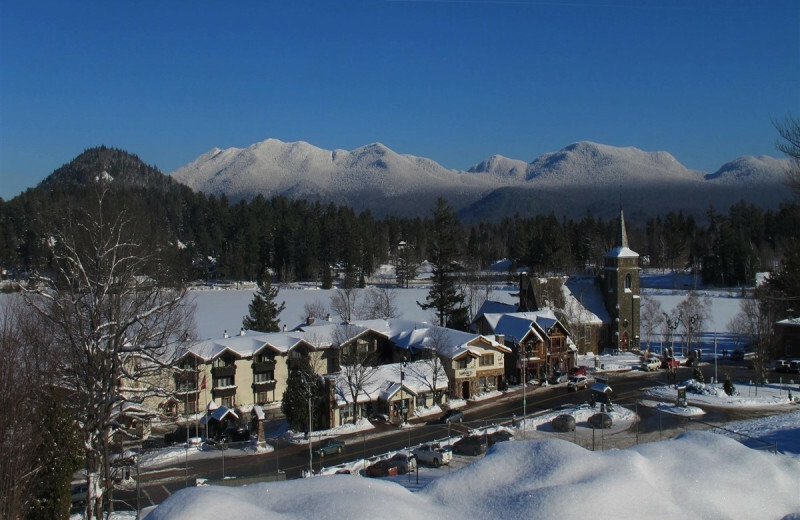 Head to famous Whiteface Mountain and have a gold medal experience or visit famous Lake Placid. The choice is yours! The Golden Arrow Lakeside Resort can transform the guest room of your choice into a romantic hideaway for your honeymoon! 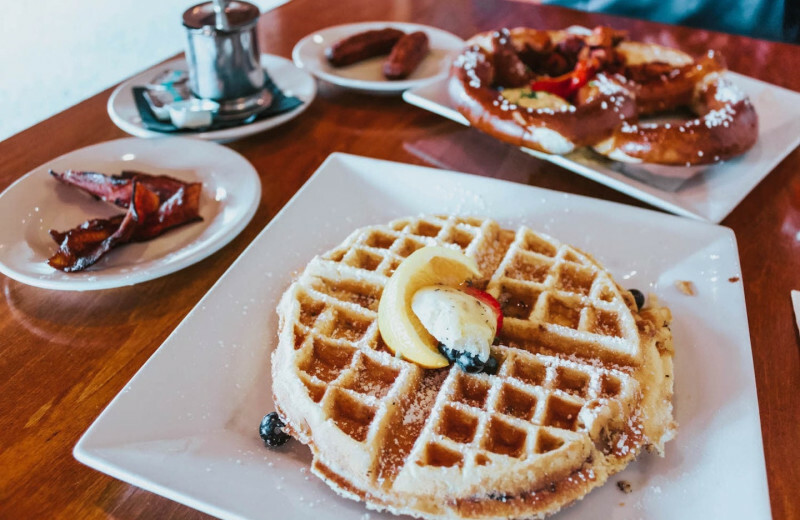 Celebrate the start of your new life together with breakfast in bed, amazing mountain scenery, and quiet time together with your spouse. This beautiful location offers plenty of things to do including hiking trips and romantic gondola cruises! 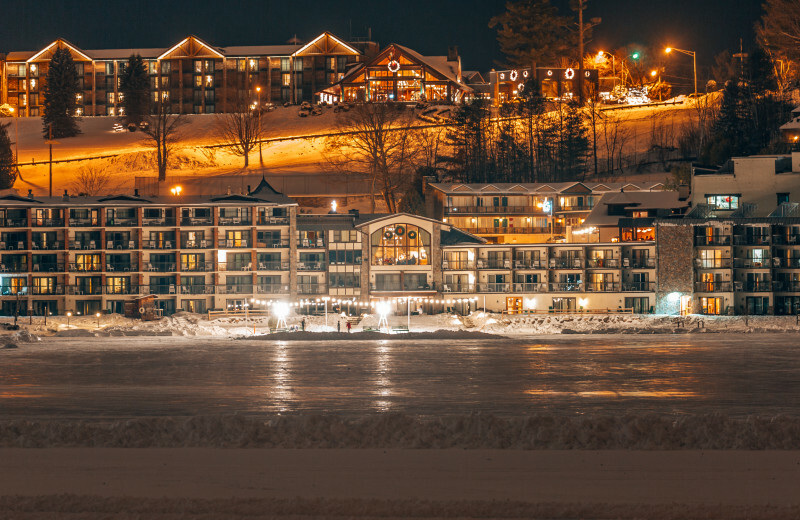 Providing a plethora of athletic activities, including skiing, snowboarding, canoeing, dogsledding and ice skating, The Golden Arrow Resort Lakeside Resort is sure to get your heart pumping! 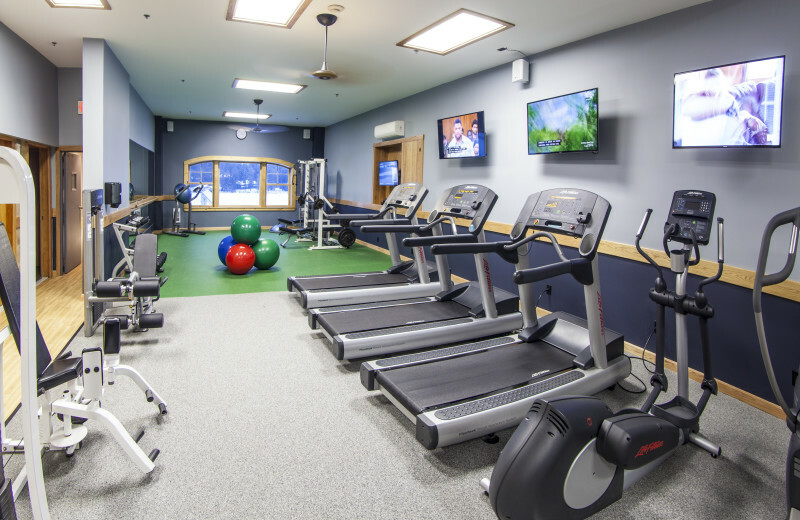 The complimentary health club will make sure that you stay fit, even when you're on vacation. After a full day of activities, treat yourself to one of the resorts spa packages and let your body heal. 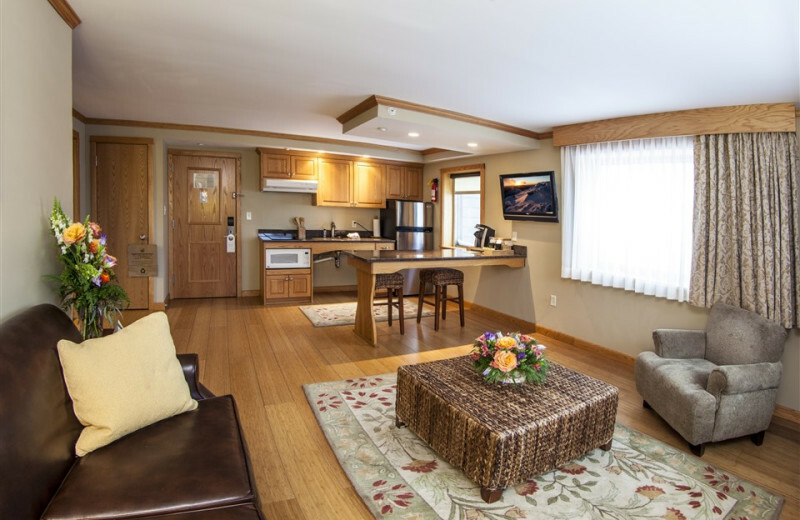 Located on New York's crystal clear Mirror Lake, Golden Arrow Lakeside Resort is the perfect location for a long summer weekend! 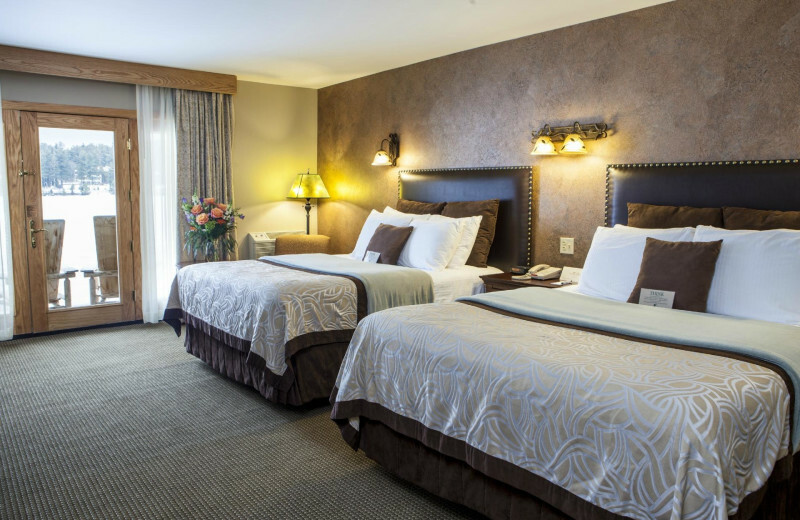 Enjoy your choice of accommodations for whatever type of group you choose to bring along. Go fishing, kayaking or hiking! The summer isn't the only time to come. Come during Christmas time and enjoy dog sledding and ice skating! 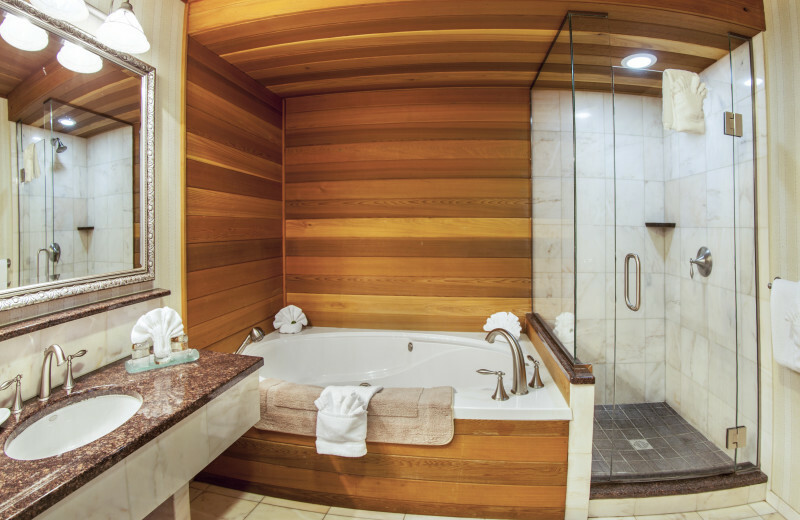 When you head to Lake Placid, treat yourself to a spa treatment! 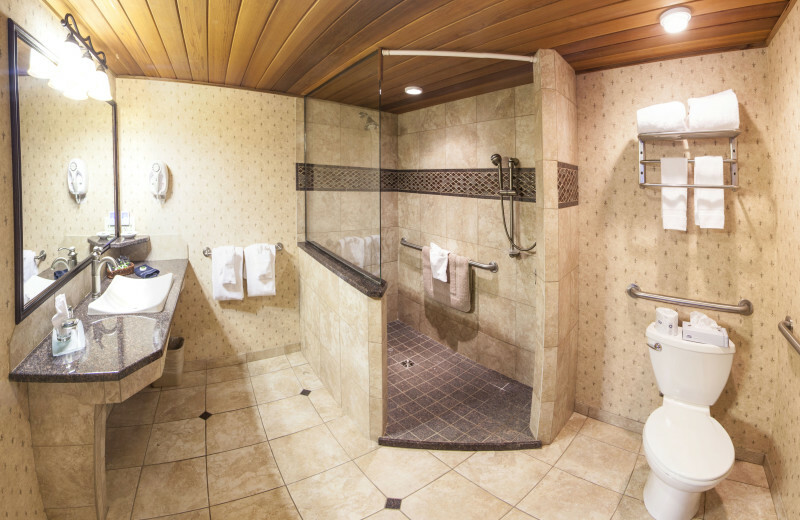 When you stay at Golden Arrow Lakeside Resort, ask the friendly staff to point you in the direction of the nearest spa. 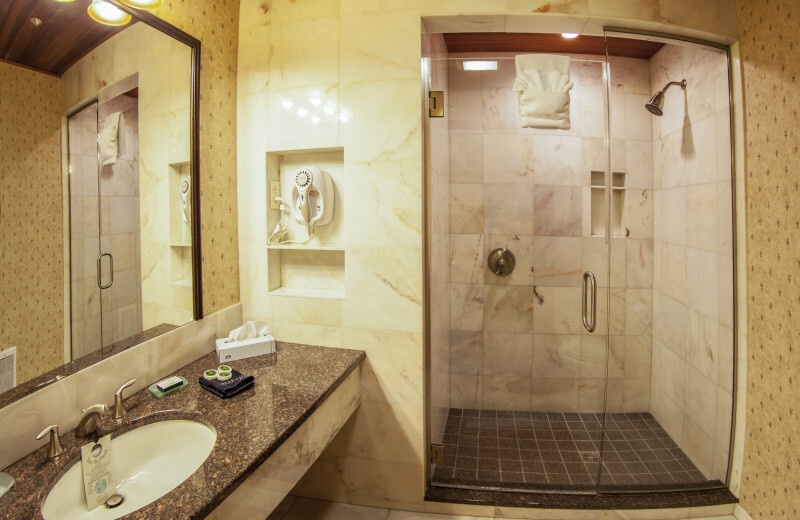 After a full day of activity, you can enjoy a facial or a massage! You'll feel like a brand new person after your vacation. 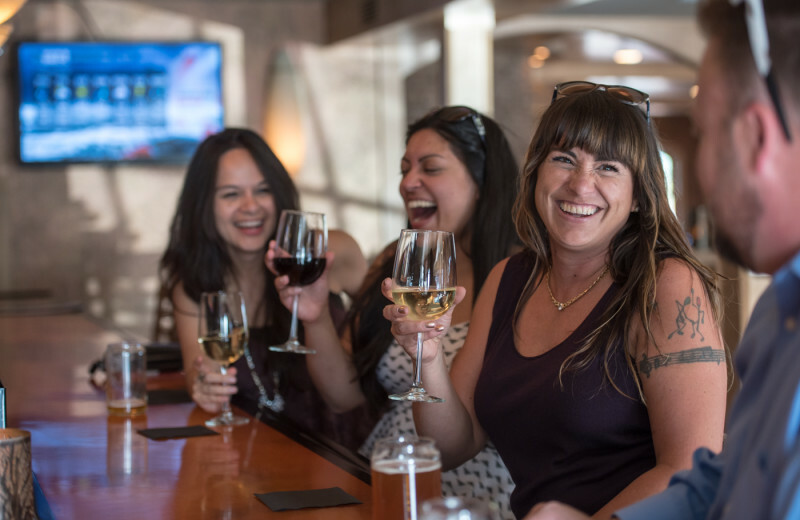 Golden Arrow Lakeside Resort offers a collection of luxury condos that are perfect for a group of friends to get together. 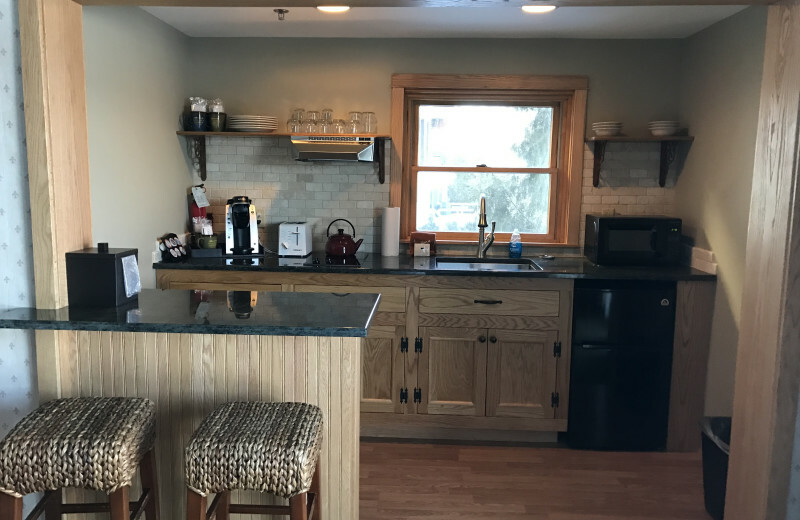 The Main Street Condos offer a casual ambiance accented by knotty pine interiors and country decor. The condos have their own private Main Street entrances and are located up one flight of stairs as part of the shopping complex. Plan your next group event at Golden Arrow Lakeside Resort. 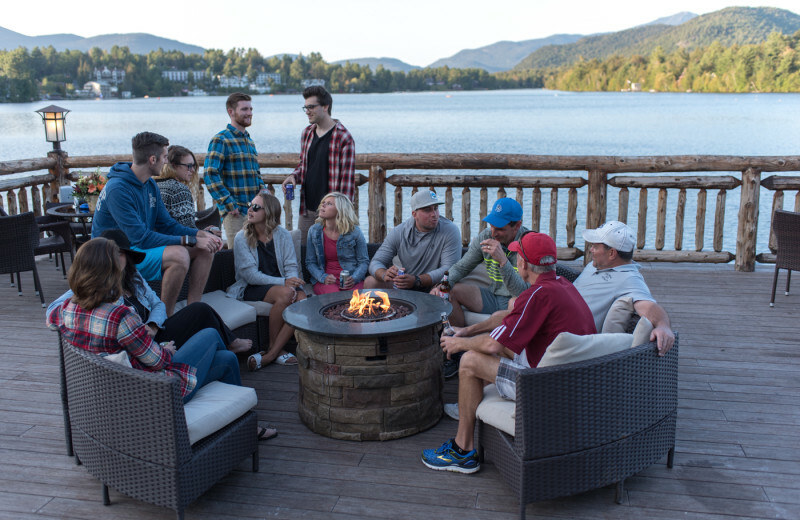 Whether for an Adirondacks business event or just a get-together with friends and family, Golden Arrow will meet any group booking request. Please call for more info! For more information please call +1 (844) 209 - 8080 or Send Inquiry. Available any time, this Add-On is great for the summer months or if you’re coming when there are black out days for the spring or fall packages. You may also add this on to your stay if you decide you want to golf while you’re already staying here. A round of Golf (cart included) at The Whiteface Club & Resort, The Lake Placid Club’s Mountain or Links Course, Craigwood Golf Course, or Saranac Inn Golf and Country Club. Room rate not included in price. It’s no miracle, finally a day that the whole family can enjoy together. Spend the day exploring Olympic Venues from the 1932 and 1980 Olympics. You might even meet a current/future member of the U.S. Olympic Team! Room Rate Not Included. Same price for children and adults. Includes breakfast for ONE morning. 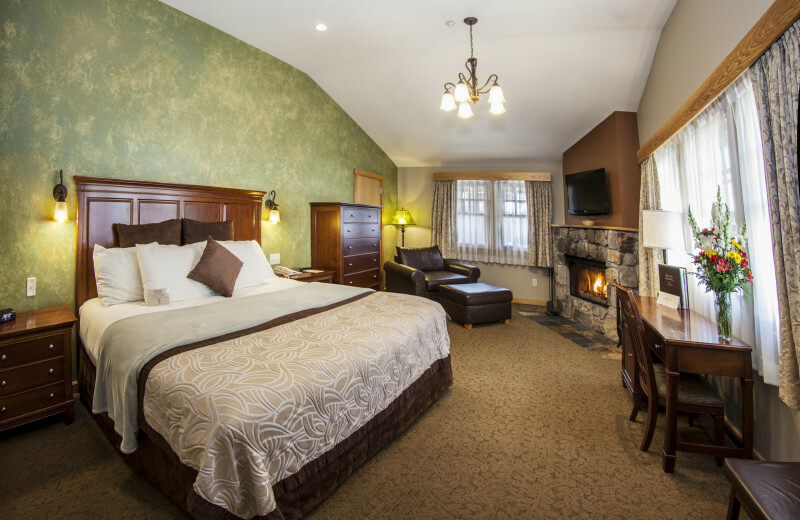 This property is ranked number 1 on Top Adirondacks Family Hotels. Read about it here.